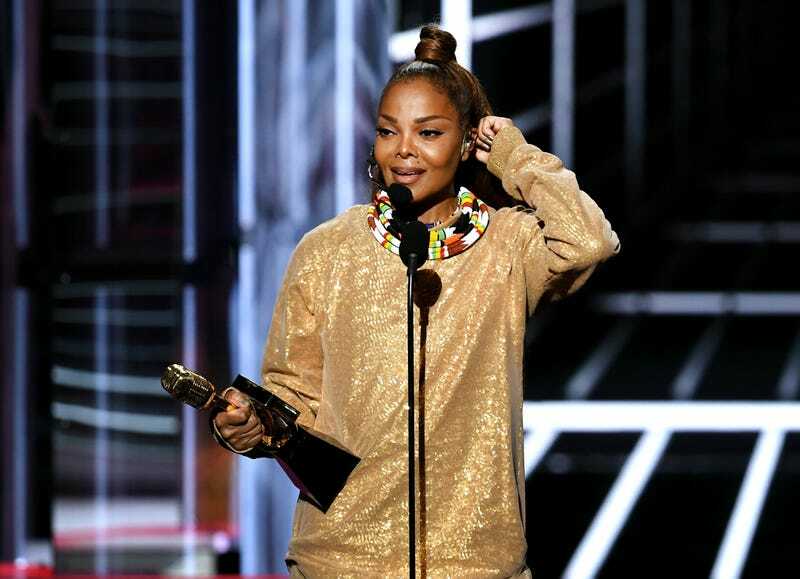 On Sunday night, Janet Jackson became the first black woman to receive Billboard’s Icon Award, and during her acceptance speech, she spoke out against sexism, abuse and racism. After Bruno Mars presented her with the award, Jackson made her short but poignant speech. During the awards show, Jackson also performed live on television for the first time in a decade. On an unrelated note, as I was stopped at a light in Washington, D.C., this morning, a panhandler said that I looked like Penny from Good Times. Take a look at Jackson’s speech above.